Eliminate Israel! That is the call from the various Middle Eastern enemies of the state of Israel and it has not changed for some time. There is much news coming out of the Middle East even if we do not hear much of it on our evening news. I have included some recent stores in this month's newsletter. Right now there is a lot of fighting between various groups that oppose Israel. I heard it said once that alliances in that part of the world shift like the sands of the desert. Things could change quickly - note the recent change in an important leadership position in Saudi Arabia. 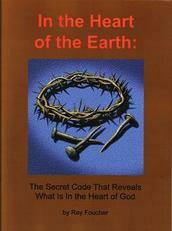 Keep an eye on the signs of the times as they point to our soon-coming redemption and should given us hope. 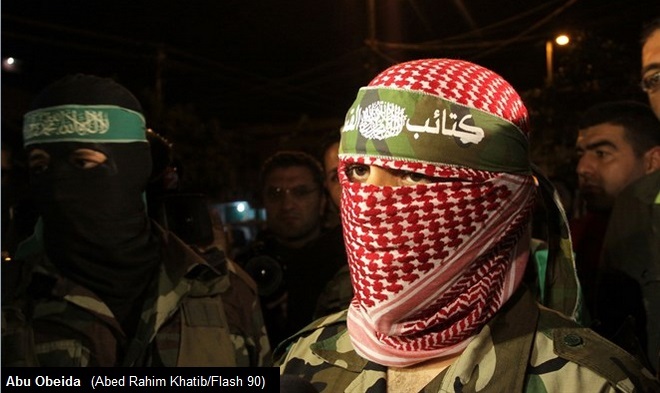 Abu Obeida, a spokesman for Hamas's so-called "military wing" the Al-Qassam Brigades, called on the Arab and Islamic nation to stop any internal fighting and work to eliminate the "cancer" that is the "Zionist occupation." In an official statement marking the day, Hamas urged the Islamic nation to support "Palestine" and the "fighting" Palestinian people and support their "heroic" fight in preparation for the liberation of "Palestine" from the occupiers. TEHRAN - Iran held major anti-Israel rallies across the country Friday, with protesters chanting "Death to Israel" and declaring that destroying the Jewish state is "the Muslim world's top priority." Iranians participating in Quds Day rallies also called for unity among pro-Palestinian groups against the "child-murdering" Israeli government, according to Iran's Tasnim News Agency. 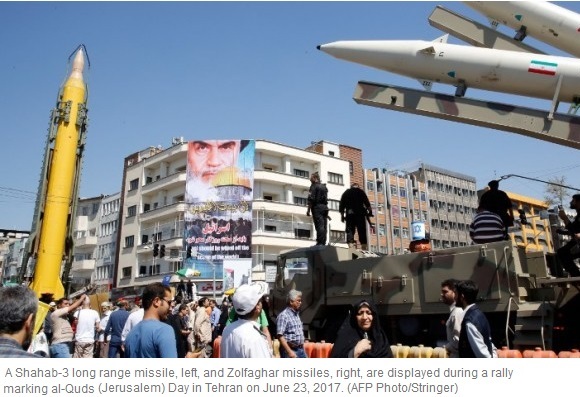 Iran's powerful Revolutionary Guard used the demonstration in the capital's Valiasr Square to showcase three surface-to-surface ballistic missiles, including the Zolfaghar - the type that Iran used this week to target the Islamic State group in Syria. The Guard said it fired six such missiles on Sunday at IS targets in the city of Deir el-Zour, more than 600 kilometers (370 miles) away. The Guard said the airstrike was in retaliation for an IS attack earlier in June on Iran's parliament and a shrine in Tehran that killed 18 people and wounded more than 50. Living with the Iranian threat is not a new phenomenon, but it is an increasingly complex one because of the Syrian civil war. Iran is reaching a peak of influence and power in the region. Lebanon seems to be having a flag sale. Iranian flags, Hezbollah, UN, Spanish, Palestinian flags. They are all flying provocatively along the border with the northern Israeli community of Metulla. Meters from the fence that separates the countries, not far from the site of a 1985 terrorist attack, Hezbollah has festooned the roads with signs of its presence. It's purposely done so Israeli residents can see the flags and the billboards next to them. In Metulla there is a memorial for the 12 Israeli soldiers killed in the March 10, 1985, suicide bombing, while just across the border a huge billboard celebrates the massacre. I spent Tuesday touring the Lebanese and Syrian borders to see the tense situation in the north of the country. The flags across the border seemed representative of the situation that prevails today. Next to the Hezbollah flags is a small post that has a UN logo. Near it the Amal Shia Lebanese movement has erected a large banner reading "To he of pure hands and a generous soul, thank you Speaker of Parliament Nabih Berri." (Berri is also the leader of Amal.) On the banner is the Iranian flag. Here is a visible presence of Iran just a stone's throw from Israel. It's not the only Iranian symbol here. 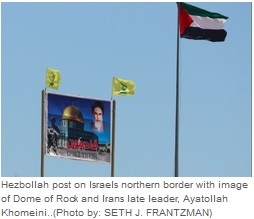 On a hill overlooking houses being constructed in Metulla is another huge poster with a photo of the Dome of the Rock. The face of Ayatollah Khomeini glowers down over the dome and Hezbollah has written: "We are coming" in Hebrew and Arabic. WASHINGTON - The leaders of two major Jewish organizations on Wednesday called for a "resolution" to the Israeli cabinet's decision to freeze an agreement for a permanent pluralistic prayer section, jointly overseen by non-Orthodox religious Jewish groups, at the Western Wall. The cabinet move - which reneged on a January 2016 government-approved measure — has sparked a crisis between Prime Minister Benjamin Netanyahu's coalition and Diaspora Jewry, many of whom affiliate with non-Orthodox Judaism and say this decision leaves them feeling unwelcome in the Jewish state. The chairman and executive vice chairman of the Conference of Presidents of Major American Jewish Organizations, Stephen Greenberg and Malcolm Hoenlein, respectively, sent a letter to the Israeli premier Wednesday pleading with him to settle the issue. The two said they sought "to convey what we have heard from our constituent organizations and from members of our community expressing concern about the decision taken by the government this past Sunday." They went on to tell Netanyahu: "It is imperative that the government move expeditiously to address this matter and come up with a resolution that is equitable to all, as you sought to do in the agreement that was reached before." Ron Lauder, who heads the World Jewish Congress, also put out a statement calling for a "resolution" to the problem, which he said was dividing the global Jewish community, although he did not directly address Netanyahu. Saudi Arabia won't "go soft" on Putin anymore, vows to destroy "Russian forces in Syria in 3 days"
King Salman, the leader of the Saudi regime has changed the succession to the throne bypassing now former Crown Prince Mohammed bin Nayef in favour of newly appointed Crown Prince Mohammed bin Salman. Salman is widely seen as the man responsible for Saudi's increasingly radical and destabilising foreign policy moves including the Saudi war on Yemen and the increased covert funding to Salafist terror groups. Many also claim that he is the architect of the current boycott of fellow Gulf Cooperation Council member state Qatar. Ray's note: "Saudi's increasingly radical and destabilizing foreign policy moves" - that could point to more interesting moves from Saudi Arabia - perhaps towards the war prophesied in Daniel chapters 8 and 11. North Korea fired four anti-ship missiles into the sea east of the Korean Peninsula Thursday. The South Korean military said this new test was intended to demonstrate North Korea's advancements in "precise targeting capability." As tensions continue to rise between the United States and the rogue nation of North Korea, the missile tests conducted also continue. This is now Kim Jong-Un's fourth missile test in one month, as the volatile North Korean dictator continues to balk at the United Nations sanctions against his country. In fact, this is the nation's first missile test since the UN implemented more, harsher, sanctions on the fascist nation. South Korea's joint chiefs said the projectiles, launched near the eastern port city of Wonsan, were believed to be surface-to-ship cruise missiles. "We assess that North Korea intended to show off its various missile capabilities, display its precise targeting capability, in the form of armed protests against ships in regard to US Navy carrier strike groups and joint naval drills," Roh Jae-cheon, a spokesman for South Korea's Joint Chiefs of Staffs told reporters. 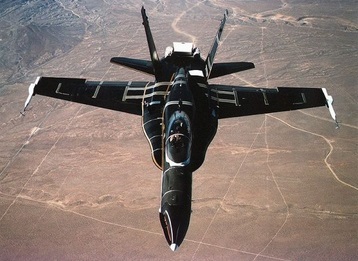 The missiles went about 200 kilometers (124 miles), South Korea's military said in a statement, adding the US military was undertaking a more detailed analysis. "Our military has strengthened surveillance and alertness readiness in cases of additional provocation by [the] North Korean military and is maintaining all readiness posture while we are tracking and monitoring [the] related situation," the statement read. 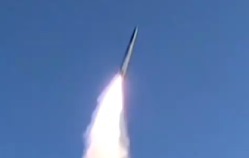 Analysts say each launch, regardless of its success, improves missile technology for the dictatorship. The tests also ultimately provide information that will bring North Korea closer to its goal of building a missile that could reach the US. Ray's note: While the North Korean missile program is widely viewed as a real threat to peace, missile technology is advancing worldwide and in an increasing number of nations. Technology for ballistic and cruise missiles is advancing in countries from North Korea and Iran to Russia and China, increasing potential threats to the U.S. even if they don't carry nuclear warheads, according to a new Pentagon report. "Many countries view ballistic and cruise missile systems as cost-effective weapons and symbols of national power," defense intelligence agencies said in the report obtained by Bloomberg News in advance of its release. "Many ballistic and cruise missiles are armed with weapons of mass destruction. However, numerous types of ballistic and cruise missiles have achieved dramatic improvements in accuracy that allow them to be used effectively with conventional warheads." The report comes as President Donald Trump's administration seeks a way to stop North Korea's drive to develop a nuclear-armed intercontinental ballistic missile that could hit the U.S. mainland. While citing the ballistic missile programs being pursued by Kim Jong Un's regime in Pyongyang and by Iran, the study describes a broader proliferation of missiles, advanced technology and launch options. "Ballistic missiles can be deployed in silos, on submarines, surface ships, road- and rail-mobile launchers and aircraft," the report said. "Mobile missiles can provide greater pre-launch survivability. The last decade has seen a dramatic increase in ballistic missile capabilities to include accuracy, post-boost maneuverability, and combat effectiveness." Famines have been known to cause widespread starvation, and now with crops and food being traded globally, one hiccup in the growth of just one crop could cause a massive global catastrophe of apocalyptic proportions. In the past, a poor year for crops, whether it was too wet or too dry, rarely impacted those outside the immediate region. Only those in close proximity to the failed crops would have to contend with the rising prices and shortages. But with the food is now being shipped around the globe, one failure could be apocalyptic, and experts are trying to warn us. Weather and the cyclic nature of the earth, combined with government regulations and war, could make producing viable crops in quantities that will feed humanity difficult in the next several years, especially when considering the increasing human population. Less than one-quarter of Earth's total cropland produces nearly three-quarters of the staple crops that feed the world's population. These staples include corn, wheat, and rice, and are the most important cereal crops. The areas which grow these crops are our planet's major breadbaskets. 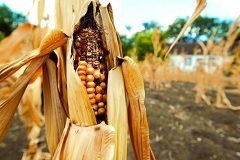 But experts warn that simultaneous crop failures could impact our very near future making global famine a reality. When compounded with the effects of war and the ever-increasing government regulations on agriculture across the globe, food production will continue to face even more difficulty in the coming years. Below is a list of worldwide mass animal deaths for 2017, with pages also for mass die offs from the previous 6 years. There are animals dying all over the world today in huge numbers, due to the polluted state of the sea and air. 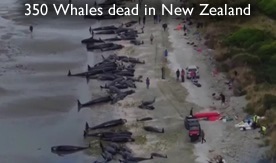 Millions of Fish and massive numbers of various marine creatures are washing ashore dead. Birds are falling dead out of the sky, and millions of poultry and wildlife are dying from avian flu. The animals of the land are also dying in large numbers. Now although animals and fish have been dying all throughout history, we have not seen the massive consistent numbers that we are seeing today. Please remember! This is just one of the MANY signs of the last days. It's time to wake up! Ray's note: see original article (link below this list) for live links to each incident.